International bike-part manufacturer SRAM was an early arrival at Chicago’s flashy new Google-anchored tech campus, 1KFulton. In summer 2015, SRAM’s global headquarters and a staff of 150 moved into a full 72,000-square-foot floor, one of the most captivating office interiors in town, designed by Perkins+Will. Behind the reception desk, an undulating, recycled-wood topographical wall conjures a mountain range in the Tour de France, while an adjacent video wall plays actual race footage; a 1,000-square-foot outdoor wraparound deck rolls off of the kitchen and cafe area, looking south over the city; locker rooms and custom racks for desk-side parking encourage employees to bike to work; and a one-eighth-mile bicycle test track weaves through the office. 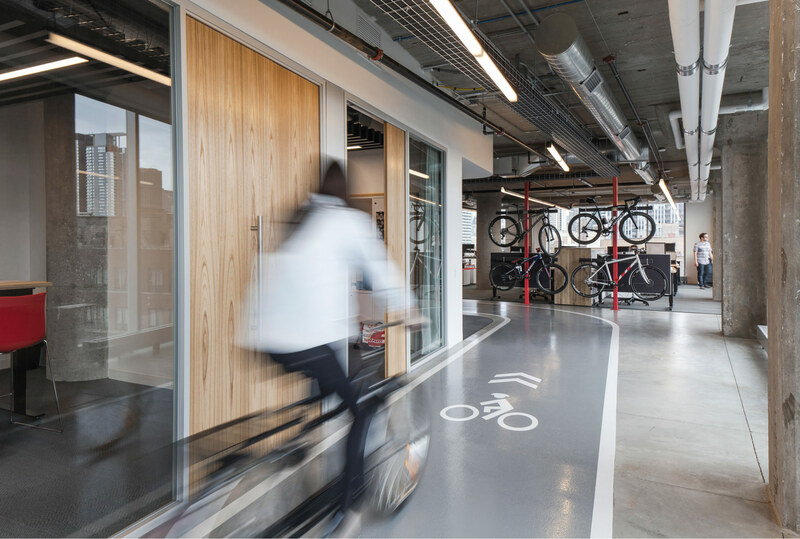 Perkins+Will was challenged in the client brief to emphasize brightness, openness, connectivity, interchangeable workspace, and, of course, the bicycle. “SRAM asked for a product that supported a unique blend of office and manufacturing space that would be fun and not too precious,” said Fred Schmidt, global leader of interior design for Perkins+Will. Meeting spaces range from conference rooms to informal breakout spaces, and the private office is virtually abolished. The eye-popping test track is a carryover from SRAM’s old space nearby, but it is much longer, more design-forward, and better integrated with workspaces. The track is used for verifying bike component concepts, but no one is clocking scorching lap times: It is equally a footpath for employees. In fact, there’s really no comparing SRAM’s previous headquarters to its current one. 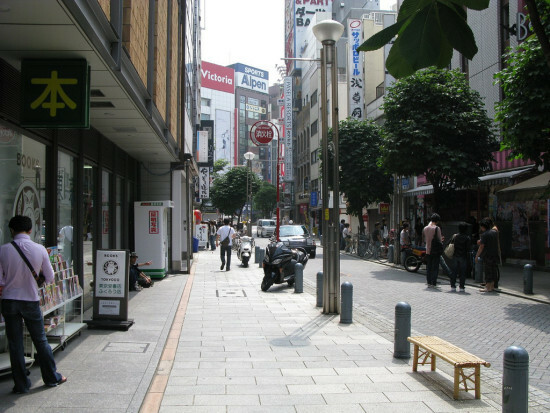 It was smaller, darker, split among three floors, and “super low-tech,” according to vice president of marketing, David Zimberoff. “And the furniture was not designed with intent.” To that point, Schmidt knew the furniture needed to be able to “withstand piles of derailleurs as easily as it did stacks of paper.” Among the key end products were stronger desktops, moveable stations, and sit-to-stand workbenches. SRAM’s own staff innovated the desk-side vertical-pole bike racks. “I’ve never worked with a company where their physical space so completely encompassed their identity,” said Schmidt. SRAM has defied any rulebook for corporate interiors; that much is clear. 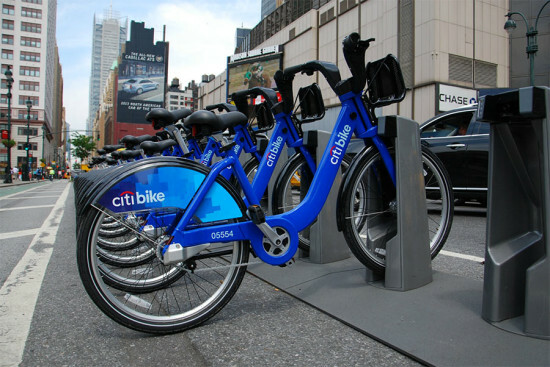 Protected bikeways represent a victory for cycling activists and are a gamble that at least $6 million in new taxpayer funding will increase ridership. 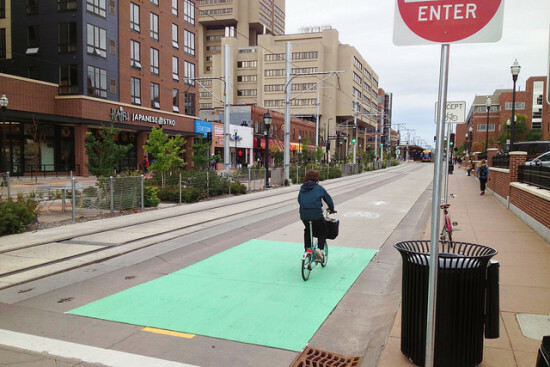 Minneapolis is a good place for public space designers to dream—the city's public review process and collaborative design culture make it especially attuned to public opinion. 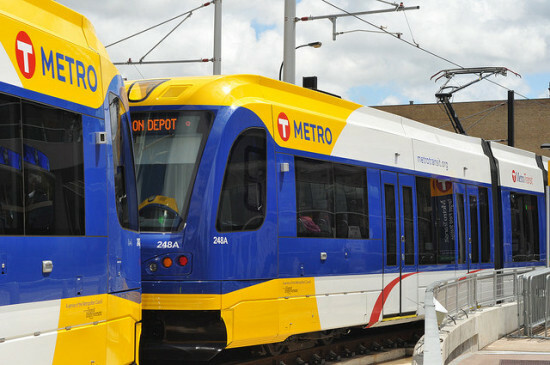 With the recent extension of the Metro Green Line, the Twin Cities reconnected their separate light rail systems after decades apart. 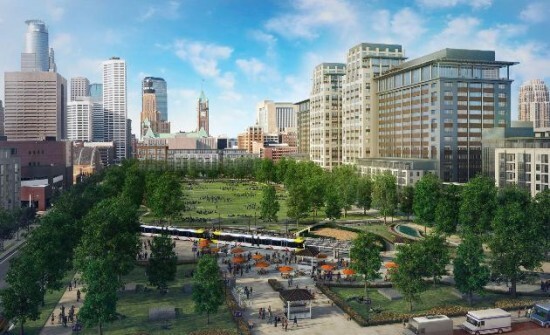 One of the junctions, next to Target Field in downtown Minneapolis, was specifically envisioned as a celebrated public space, as much park and plaza as multimodal transit hub. Over the next two years, Metro Transit said it will deliver $7.36 million in upgrades, including 22 new bus shelters. At $1.7 billion, however, the Green Line extension was not without its local critics—fairness and fiscal efficiency were at the heart of many complaints about the project. 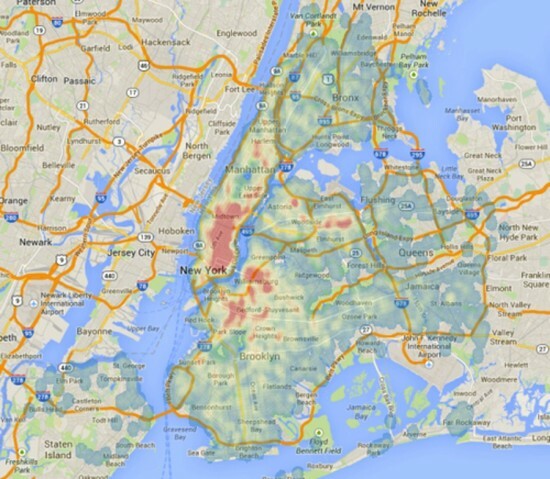 And in the sprawling midwest, many in the Twin Cities still depend on their cars. Much of the $6 billion Governor Mark Dayton is requesting to improve the state’s transportation system over the next 10 years will go to repair roads and highways. 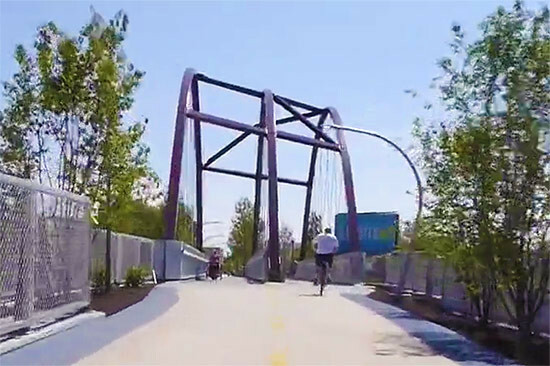 Portions of the pathway—which will run through Downtown, the West End, Over-the-Rhine, University Heights, Clifton, and Northside—have been fine-tuned before. Community feedback led to some tweaks in the design between Elm Street and Ludlow Avenue, scaling back plans to widen the street in favor of a re-striped bikeway. 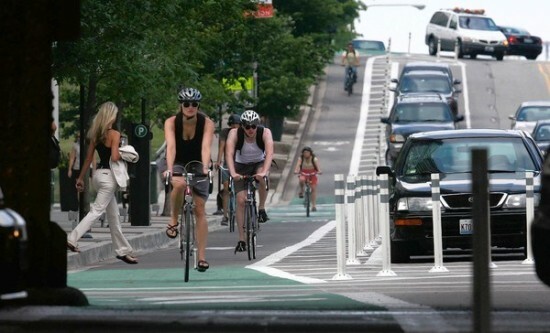 Construction on the protected bike lane is supposed to begin soon. The city's website says, "Spring of 2014." Chicago’s plan to revitalize troubled South Side neighborhoods with green infrastructure, urban farming and transit-friendly development is moving ahead. The city’s Plan Commission heard a presentation last week on the Green Healthy Neighborhoods program, which in 2011 announced its attention to lure investment to the Englewood, Woodlawn and Washington Park neighborhoods (read AN’s coverage here). 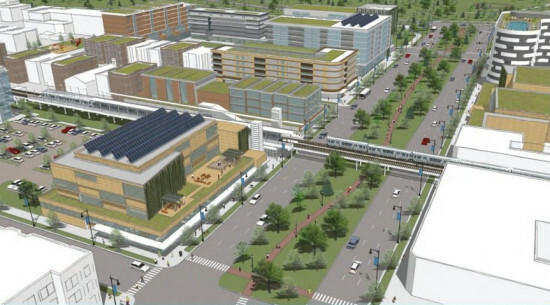 While the urban agriculture component initially grabbed headlines—renderings show an old rail line repurposed as the “New Era Trail,” which would link urban farms and community gardens with a park-like promenade—the wide-ranging proposals also include developing retail clusters around transit nodes and street improvements for bikers and pedestrians. 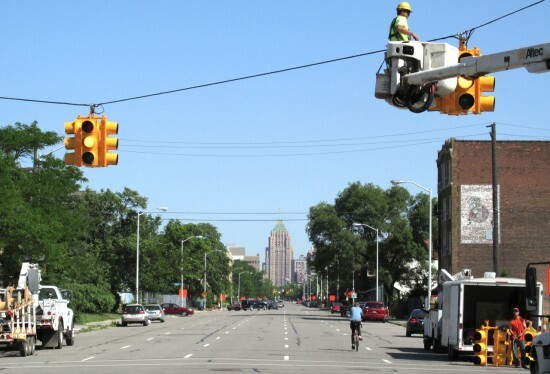 Funding is still up in the air, but the project will seek financing through the department of Housing and Urban Development’s Sustainable Communities Initiative. You can see the full plan here.